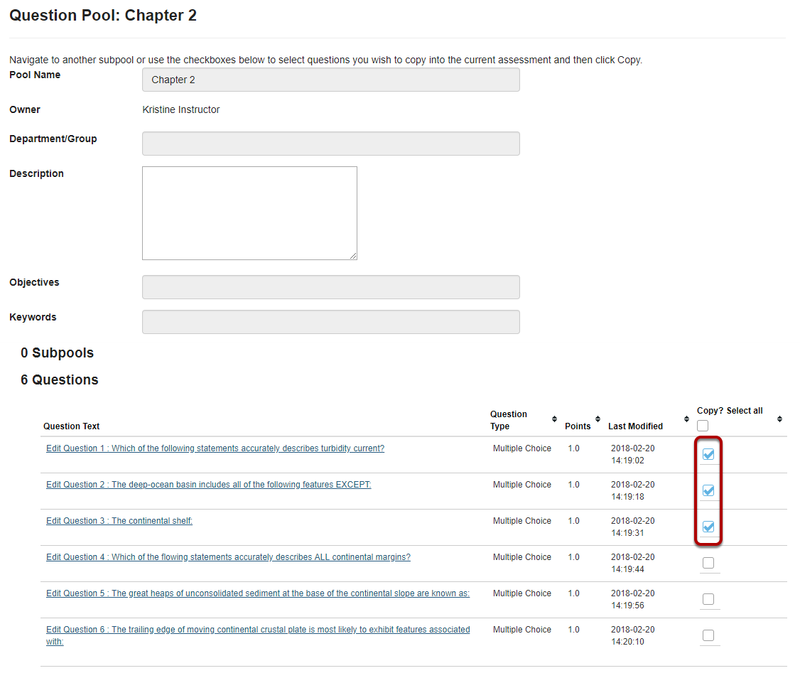 Sakai Guides and DocumentationAssessments and Grading AssessmentsHow do I copy questions from the question pool into an assessment? This allows for individual questions from a particular Question Pool to be copied and added to a new or existing assessment. Note: Questions copied from a pool are presented in the order listed in the assessment. To deliver questions randomly from a pool, see How do I set up a random question set? A question copied from a question pool may be added to any assessment. 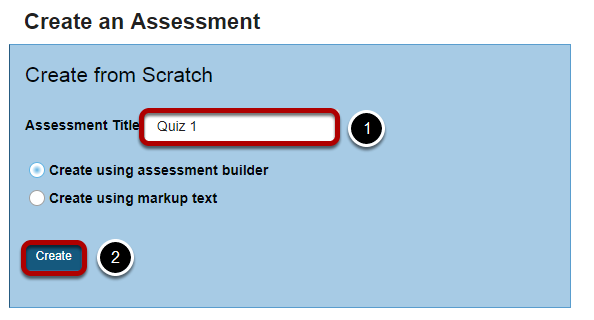 Select an existing assessment or create a new one to add questions. Select Copy from Question Pool from the drop-down menu. Zoom: Select a question pool. Select a question pool from the list. Check the corresponding box for the question/s you would like to copy. Scroll down to the bottom of the question list and click the Copy button. 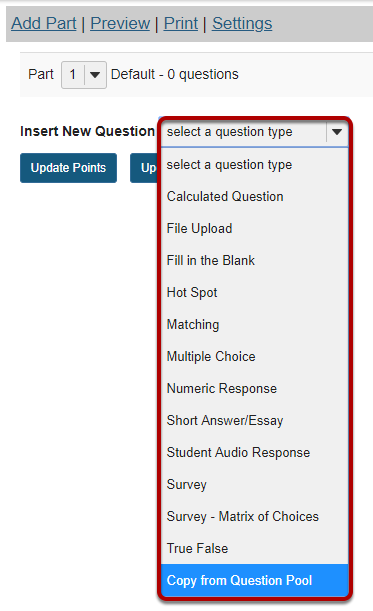 Note: Optionally, you may use the drop-down menu to assign the question to part of the assessment. Part 1 is the default portion. Prev: How do I add a question to a question pool? Next: How do I set up a random question set?